Do you want to make a fun statement with your special occasion cake? 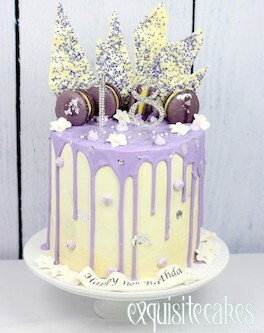 Drip cakes are the perfect choice for absolutely any occasion! From birthdays to engagements, this style of cake can be designed in a variety of ways to suit every occasion. These styles are very popular in a homestyle or semi naked finish as the chocolate drizzle adds that extra appeal to the sophisticated style. Luckily enough, the drizzle can be any colour you want alongside the endless choices of sweets, fruits or flowers to make your cake even more appealing to the eye. 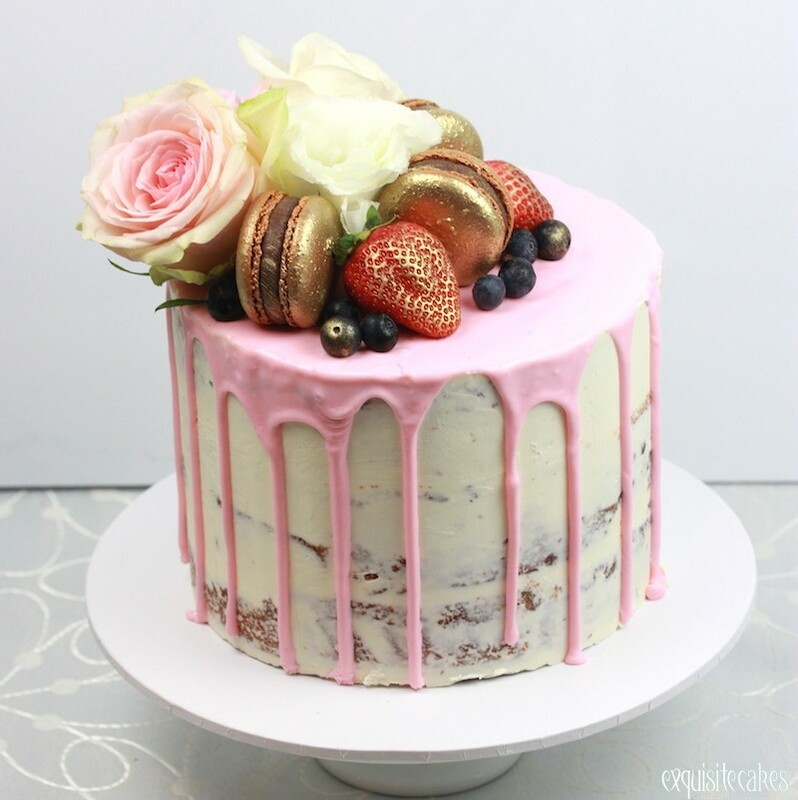 Pink Drizzle, macarons and flower cake, what could be better? A semi-naked ganache cake looks divine when dressed in a chocolate drip with flowers, macaroons and fruits. This style of cake is simple however the addition of a chocolate or coloured chocolate drip makes the cake even more exciting to look at! You could even add gold or silver dust to bring that extra style of class into the cake. Luckily enough we have the perfect styled drip cake for all the chocoholics! A double barrel ganache cake with a dark chocolate drip is the perfect starting point. 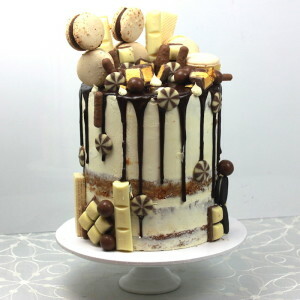 With the addition of a variety of chocolate bars, sweets, chocolate sails and macaroons this cake is officially drool worthy. Fancy something more colourful than the sight of plain chocolate? Then why not add a colour drizzle instead! We can create any colour drizzle including gold. 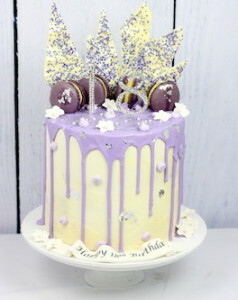 This adds a pop of elegance to the cake yet is still stylish with the addition of fresh fruits, meringues and macaroons. Want to make your special occasion cake even more personal? Then just add a personalised topper or banner to your design! Just visit our website to see the various styles of drip cakes we have created and then give us a call on 8850 1340 to book in your next special occasion drip cake!